Jessica Rabbit is the ultimate representation of the hourglass figure. Yes, I understand she is a cartoon, and she was drawn perfectly that way, but she has curves in all the right places, and so do the ladies with an hourglass figure. 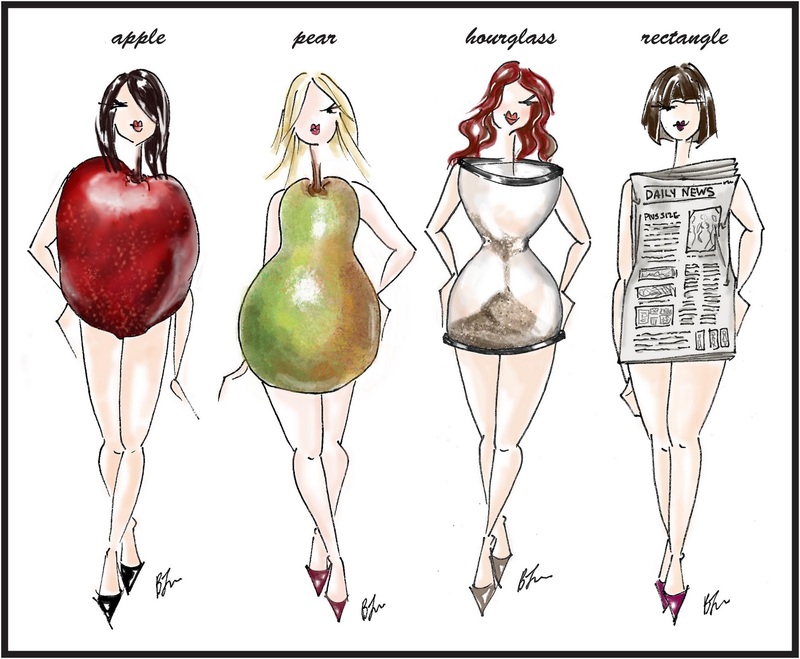 On our quest to embrace our body type, let’s review what constitutes an hourglass figure. Jackets: You can throw on any Jacket and go! Choose one that has a defined waist to draw attention to your tiny middle. Go with a jacket that is a little more trendy to add some real fun to your wardrobe: choose a wild print or a contrasting belt. Denim: Curvier shapes call for jeans that are cut higher in the back to fit over the rear and keep you covered. A contoured waistband will help reduce the gaping that can result when you’re trying to fit a smaller waist and wider hips, but don’t hesitate to get a pair tailored if you love them everywhere else! Look for jeans where the waistband will have a conspicuous seam; this means it was cut on a curve and sewn together rather than being one piece of fabric. They will have more of a curve to them when laying flat – the ones pictured here are from Levi’s CurveID line. Dresses: Go for a piece that has waist-enhancing seams and a form-fitting cut to play up balanced proportions. Stiff or heavy fabrics, like tweed and brocade, are a no because they don’t shape easily to the contours of the body. Tops: Choose tops with open necklines, I love a good v-neck on an hourglass figure because it will create a lengthening of you overall silhouette. Tops that have defined natural waist are your best friends. Material: You can really get away with whatever you’d like as far as material goes. Choose something that moves with your curves and is softer. You can wear busy prints on tops or bottoms just make sure the material flows over your curves. Avoid stiff or bulky fabrics that will add to your shape in overwhelming manners. Tomorrow: Shopping tips for Rectangle Shapes!